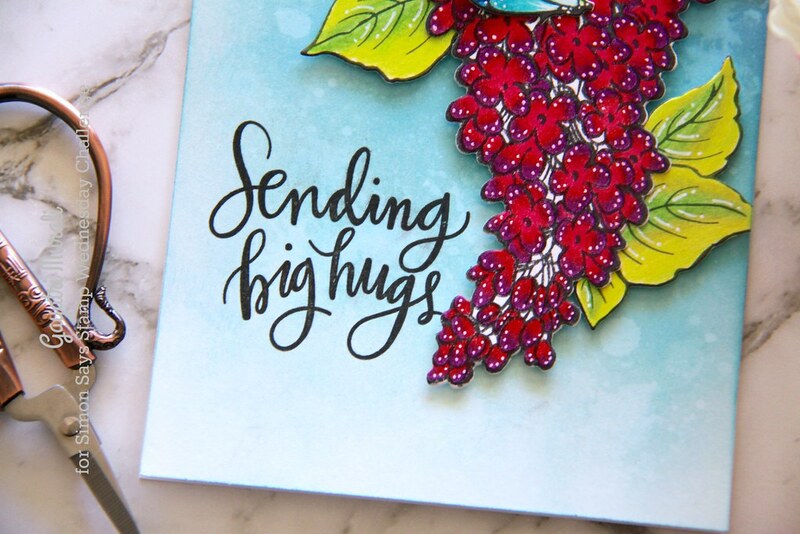 Thank you for joining us for the Use More Than One Die Cut/Punch Challenge and we hope you will all join us again this week too. 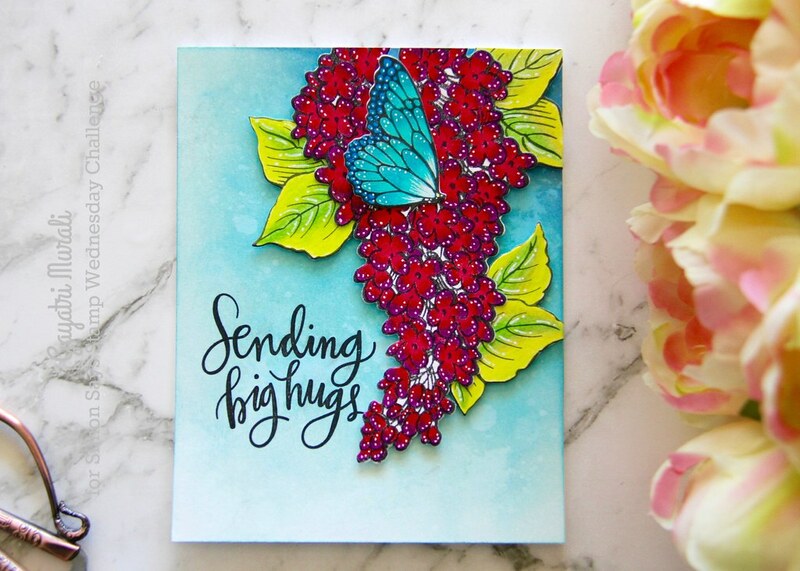 This week we are showcasing Stampendous Products this week. You don’t have to use them for the challenge but if you have them we would love to see them used. 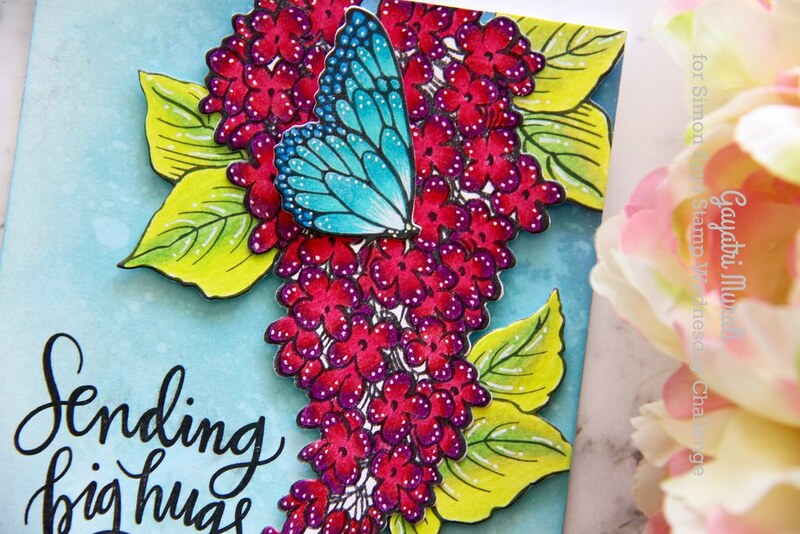 I used the beautiful Lilac stamp and stencil cling stamp set along with the coordinating die set to make my card. I coloured the stamped image of the Lilac using Prisma colour pencil. I went for red and purple combination. I took me a long time to colour all the flowers. But I love the result. Bright and beautiful! I coloured the leaves and butterfly also with Prisma colour pencil. Used the coordinating dies to die cut the coloured images. For the background, I used Distress Oxide inks – Broken China and Faded Jean. I added water to get the oxidation happening. I sponged another layer over the oxidation spatters to make them subtle. 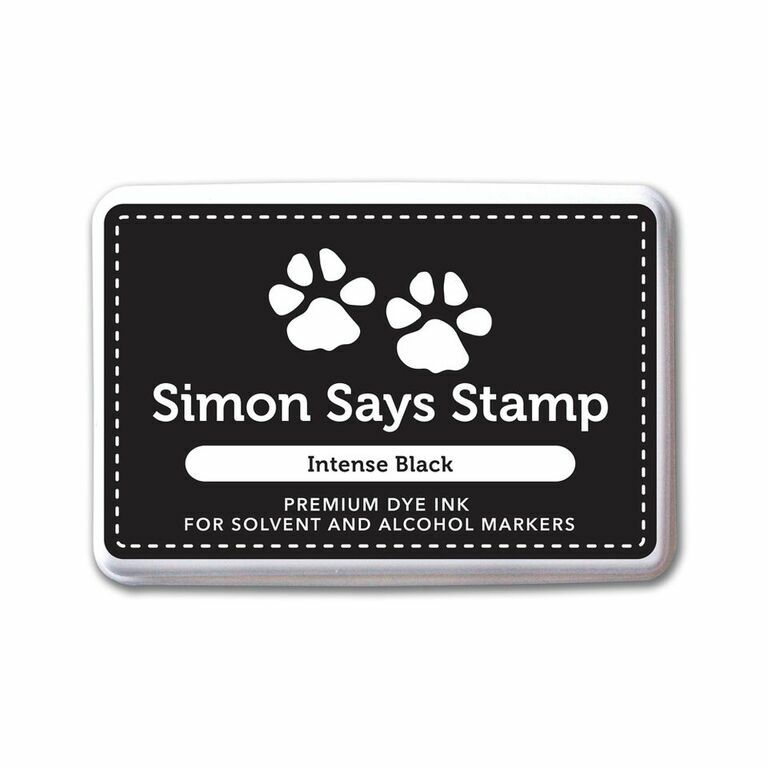 I stamped the sentiment from Simon Says Stamp Big Script Greetings with black ink using MISTI to get even coverage. I adhered the coloured die cut with foam adhesives for dimension. And used Sakura white gelly roll pen to add interest to the coloured images. Here are some closeups. Beautiful, Gayatri! Love your use of the white accents and unusual color!